Today was a day out shopping with my mother. So something comfy, smart and easy to get on and off for all those changing room moments was called for. 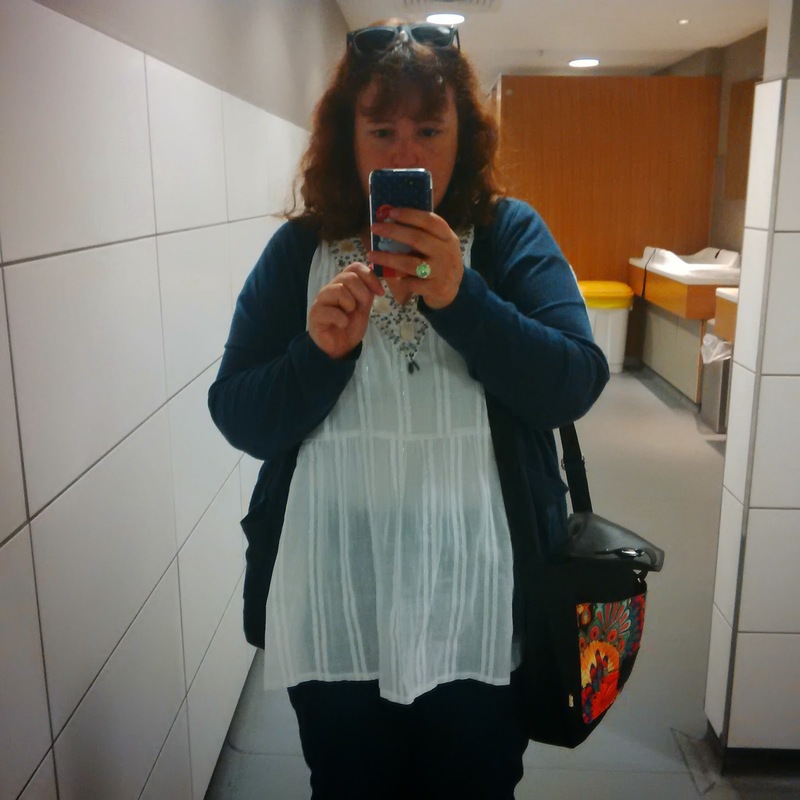 Some boyfriend cropped jeans from Marks & Spencer that are my current favourite, a denim blue cardie from TU @ Sainsburys and sparkly white blouse that I dug out from the depths of my wardrobe. It's so old, I honestly can't remember where it came from. The bag is a Rocket Dog one I found online in the sales earlier in the year. I love a big handbag so expect to see it again. I seem to be having a memory issue with remembering to take piccies at the moment - so excuse the glamorous surroundings and slightly confused look. I was halfway through the day when I remembered!